Not everyone who earns income and pays taxes has to file a tax return. Whether you are required to file or not depends upon how much money you make and your marital status. However, even if you do make less than the amount at which you're required to file a return, you may still file one even if you only make $1,300 per year; you simply don't have to. 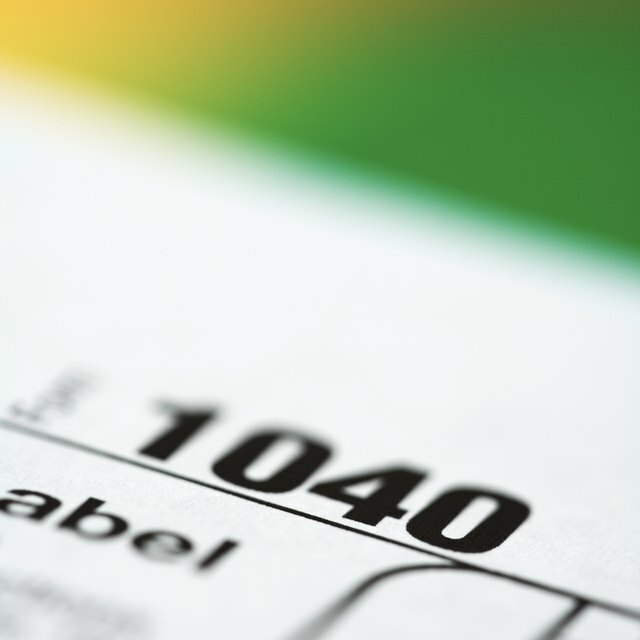 Although you will likely not be required to file taxes if you made $1,300 of income during the year, you should still consider filing a return in order to take advantage of any deductions or credits that may be available to you. If you earn money, you're allowed to file a tax return. However, the law doesn't require everyone to file. For example, most people wouldn't be required to file taxes for under $10,000 in income. Further if you make $10,000 a year how much tax would you owe? Likely very little, as the tax brackets for both 2017 and 2018 have a 0 percent bracket that ends just below $10,000. Thus, if you made only $1,300 during the tax year, you likely would not owe income tax at all. Low earners can also take advantage of the Earned Income Tax Credit, which is a tax credit for not making enough money. Unlike deductions, which reduce taxable income, tax credits are reductions in the amount of tax owed. Some tax credits are not refundable, so if you owe less than the credit to which you're entitled, your tax is wiped out but you get nothing more than that. This credit is a refundable credit, however, which means its application can lead to a refund. For example, if you owe $1,500 in taxes but you have a $2,000 credit, the $1,500 tax debt is wiped out and you get a refund for the remaining $500. For the 2018 tax year, taxpayers are bound by the updated tax law, the Tax Cuts and Jobs Act. The new law simplified the filing requirements. If you're single, you must file a tax return if your gross income exceeds $12,000, which is the standard deduction amount for 2018. If you're married and filing jointly, you live together and neither of you is claimed as a dependent, you must file a joint return if your combined gross income exceeds $24,000, which is the standard deduction for married couples filing jointly in 2018. Less than $49,194 if you have three or more qualifying children. Less than $54,884 if you have three or more qualifying children. You must also make less than $3,500 per year in investment income to qualify for the credit. $519 with no qualifying children. So if you're single and have two children, and you make less than $45,802 per year, you may qualify for a credit of up to $5,716. Your gross income was at least $10,400; you file single and you were under 65 at the end of 2017. Your gross income was at least $11,950; you file single and you were 65 or older at the end of 2017. Your gross income was at least $13,400; you file as head of household and you were under 65 at the end of 2017. Your gross income was at least $14,950; you file as head of household and you were 65 or older at the end of 2017. Your gross income was at least $20,800; you're married and file a joint return and both you and your spouse were under 65 at the end of 2017. Your gross income was at least $22,050; you're married and file a joint return and either you or your spouse (but not both of you) were 65 or older at the end of 2017. Your gross income was at least $23,300; you're married and file a joint return and both you and your spouse were 65 or older at the end of 2017. Your gross income was at least $4,050 and you're married but filing separately. Your gross income was at least $16,750; you're a qualifying widow or widower and you were under 65 at the end of 2017. Your gross income was at least $18,000; you're a qualifying widow or widower and you were 65 or older at the end of 2017. Less than $48,340 if you have three or more qualifying children. Less than $53,930 if you have three or more qualifying children. You must also make less than $3,450 per year in investment income to qualify for the credit. $510 with no qualifying children. So if you're single and have two children, and you make less than $45,007 per year, you may qualify for a credit of up to $5,616.